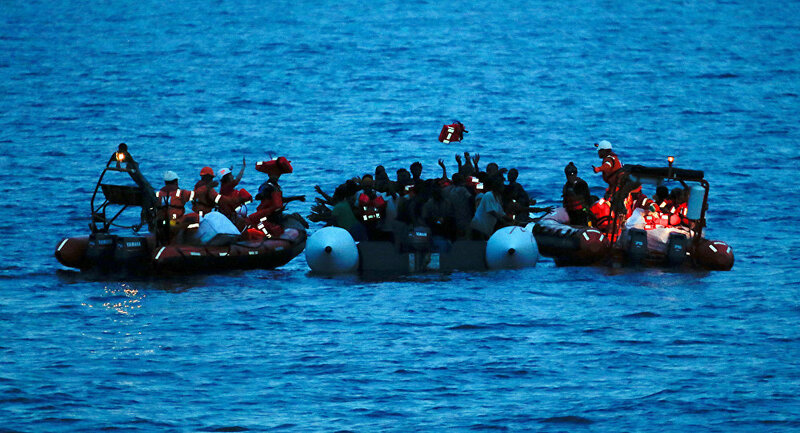 Daniel Fiess, one of the Germany's right-wing Identitarian Movement leaders says that the movement's representatives headed out to the Mediterranean Sea to bring to light the alleged cooperation between NGOs and human traffickers. MOSCOW (Sputnik) — Representatives of Germany's right-wing Identitarian Movement headed out to the Mediterranean Sea by boat to bring to light the alleged cooperation between non-governmental organizations (NGO) and human traffickers, Daniel Fiess, one of the movement's leaders, told Sputnik in an interview. "We want to get to the Libyan coast on our boat and take part in the rescue operations, as prescribed by maritime law, if we find that people are really in emergency situations. We will cooperate with the Libyan coastguard there and sent people [in distress] to the nearest port, which in Libya… We want to uncover the actions of the NGOs in the Mediterranean Sea," Fiess said. Fiess referred to the investigations being conducted by the Italian and German prosecutors' offices into the suspected cooperation between NGOs and smugglers in the Mediterranean. In light of these probes, the movement wants to record the actions of the sea rescuers off the Libyan coast and halt them if they were indeed linked with human trafficking, Fiess explained. At the same time, Germany's Federal Office for Protection of the Constitution (BfV) President Hans-Georg Maassen said in March that the federal authorities had taken Identitarian Movement under its control over its policies against free democratic order and alleged links with right-wing extremist groups. Europe has been beset by a massive refugee crisis, with hundreds of thousands of undocumented migrants fleeing their crisis-torn countries in the Middle East and North Africa to escape violence and poverty. Many of them have been trying to cross the Mediterranean Sea via Libya. According to the UN Migration Agency's (IOM) latest reports, a total of 112,018 migrants and refugees entered Europe by sea in 2017 with 11,403 migrants being rescued in Libyan waters.